It’s easy to understand why people love chocolate. It tastes amazing and comes in all shapes, sizes, and flavours. But not all chocolate is created equal. Raw and unprocessed cacao offers up some of the best health benefits. This rich and luxurious powder can be used to make raw treats, smoothies, hot cacao drinks, homemade chocolate, the list is endless. So what are the benefits other than the great taste? When looking at something like blueberries, comparatively, cacao has 40 times the amount of antioxidants. That’s a lot. And why is that important? Antioxidants help to protect against cell and tissue damage by absorbing free radicals in the body. This can protect against a range of diseases. There are very high levels of iron in cacao. It’s a perfect option for vegans or vegetarians. It’s good to know that compared to animal based iron, plant based iron is harder to naturally absorb, but when paired with Vitamin C, it’s much easier for the body. You could add some orange to your chocolate. Think jaffa vibes. 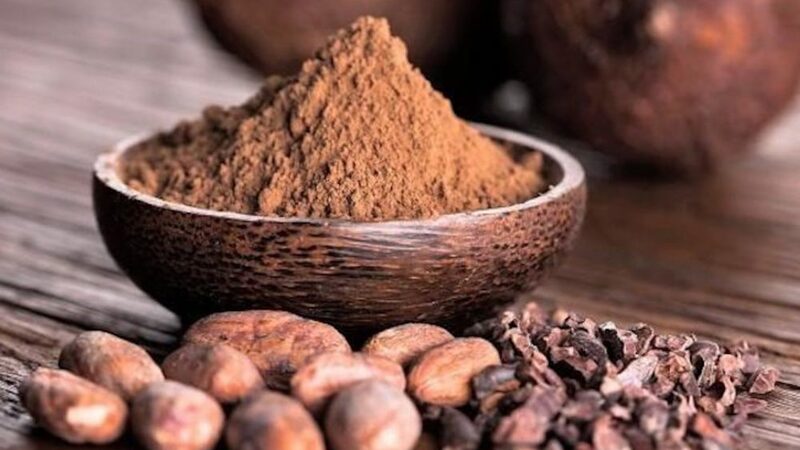 There is a range of compounds found in cacao that has been demonstrated to enhance mood and fight off depression symptoms. One of these includes phenylethylamine, which elevates mood and supports energy. On top of that chocolate is high in serotonin, tryptophan, and tyrosine, all mood elevators. Calcium is known to support bone health but it also helps muscles, nerves, and even your heart to function properly. Cacao is said to contain more calcium per 100g than cow’s milk. Magnesium is an underrated mineral. And a mineral that our body needs in large doses. Magnesium supports sleep, muscle relaxation especially after exercise, and even supports your body fueling your brain’s ability to focus and stay clear. Late night chocolate has never sounded so good. One of the benefits of antioxidants (polyphenol antioxidants in particular) is that they protect your cells from premature oxidation or damage. That protection can keep our bodies looking and feeling younger for longer. Previous Post YOGA TREE PERTH – NEW STUDIO OPENING 1ST DECEMBER!